Ultimus introduces Composed Process Solutions (CPS), a new “industrial approach” to low-code development. Ultimus CPS generates software from business requirements for improvements in application delivery time, quality, cost, and business value. 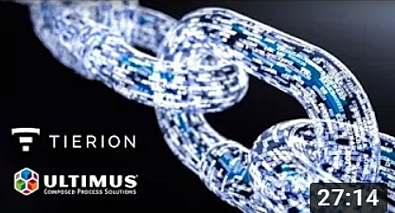 Ultimus and leading blockchain industry experts discuss and demonstrate how BPM and blockchain technologies combine to solve fundamental problems facing digital business initiatives in banking, healthcare, law, medical technology, government, compliance, and more. Ultimus’ Digital Process Automation vision: Turning business processes into digital assets that can be composed and recomposed into “software families” and business-relevant “360 degree views” of customers, interactions, and opportunities – true digital transformation. Ultimus guest presenter Neil Ward-Dutton, co-founder and Research Director of MWD Advisors, describes the challenges of Digital Transformation as well as goals, thinking, & technologies that define, guide, & facilitate strategic advantage in the digital age. This webinar dispels the confusion around blockchain and explains its role in enterprise business technology and processes. Learn how recent technology innovations quickly and easily overcome the practical challenges of implementing blockchain and can make blockchain-enabled applications a reality today. In this webinar, Ultimus and leading blockchain industry experts discuss and demonstrate how business process management and blockchain technologies combine to solve fundamental problems facing digital business initiatives in banking, healthcare, law, medical technology, government, compliance - and virtually every other industry. Video: What is Composed Process Solutions? Watch a short video clip explaining Ultimus Composed Process Solutions. No sign up required! Digital Transformation is today’s imperative and enterprises are accelerating efforts to digitize every aspect of their business to realize it. But ever-faster delivery of individual business software applications is not transformative. You need to begin with the end in mind! In this webinar, Neil Ward-Dutton, co-founder and Research Director of MWD Advisors, describes the challenges of Digital Transformation as well as the goals, thinking, and technologies that define, guide, and facilitate lasting strategic advantage in the digital age. Carsten Neumann, Ultimus’ Senior Vice President – Enterprise Solutions, explains how Ultimus applied modern product line engineering and automated manufacturing principles to create Composed Process Solutions – a Digital Automation Platform designed specifically to meet the challenge of digital transformation: creating a seamless, flexible, end-to-end digital enterprise. Eric Ritchie, a Partner and co-founder of PROceed BPM, demonstrates how this new paradigm for software development can be applied to deliver and deploy software with unmatched speed, quality, cost, and business value. 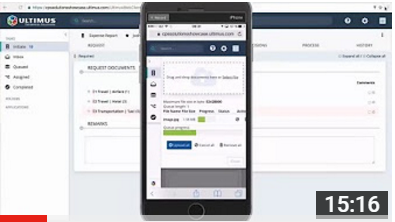 Watch how PROceedBPM used Ultimus CPS to quickly automate Boone County’s time card submission and leave request processes - replacing costly, time-consuming, and error-prone manual processes with a family of powerful, mobile-ready, intuitive, and connected software applications. BPM is undergoing a profound change. Where cost savings were once the primary driver of BPM projects, the emphasis is changing to customer experience and, ultimately, to digital transformation. In this webinar, guest presenter and Forrester Research Vice President and Principal Analyst Rob Koplowitz explains Forrester’s rationale for replacing “Business Process Management” (BPM) with “Digital Process Automation” (DPA) and how the digitization of all business functions – and turning data into insights that provide a better customer experience - is an imperative that will become the strategic differentiator of the future. Usama Mehmood presents the Ultimus Composed Process Solutions vision of Digital Process Automation: Replacing today’s notion of business process automation – doing what we do today in electronic form – with a new notion – turning business processes into digital assets that can be composed and recomposed on demand for ongoing business transformation. Brian Patsy provides specific, “real world” examples of the benefits and ROI of DPA, how new thinking and new tools can fulfill critical, unmet business needs faster and at a fraction of the cost of other approaches. 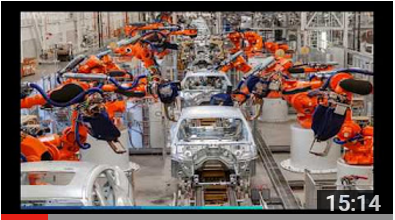 This video, recorded live as part of a webinar featuring guest speakers Rob Koplowitz, Vice President and Principal Analyst of Forrester Research, Brian Patsy of PROceed BPM, and Usama Mehmood, Director – Enterprise Solutions - North America, Middle East, Africa of Ultimus, shows a brief Digital Process Automation Demo. See a brief introduction to and powerful demonstration of Ultimus Composed Process Solutions. 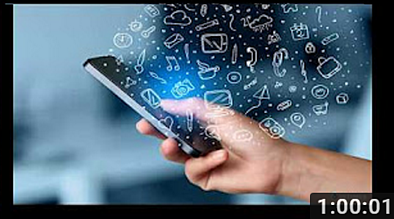 Creates software that is automatically Global- and mobile-capable. In a world where speed is more important than size, both survival and success require new thinking, strategies, and technologies. Our guest presenter John R. Rymer, Forrester Research Vice President and Principal Analyst, explains how Application Development & Delivery must evolve to realize true transformation: an entire enterprise in digital form, capable of innovating, changing, and responding at the speed of digital. Mohamed Omar, President – Ultimus MEA, shows us that digital enterprise of the future. A radical new future where we compose, recompose, and generate software families – software families that solve higher order business problems - on demand using digital assets in a common Digital Solution Ecosystem - created and managed by Ultimus Composed Process Solutions. Nasir Hussain, BPM and Group Risk Solutions Specialist with National Bank of Abu Dhabi, brings an industry perspective to digital transformation using Low-code development platforms and describes the strategies he has employed to succeed in an industry being transformed by digital technology. Our guest presenter, Forrester Research Principal Analyst Clay Richardson, explains how the need to accelerate digital transformation has created a new business case for BPM and fueled the emergence of low-code BPM platforms. Carsten Neumann of Ultimus introduces Composed Process Solutions, a new “industrial approach” to low-code development, and describes how automated manufacturing – generating software from business requirements - produces unmatched improvements in software delivery time, quality, manageability, cost - and business value. Hasan Irmak, CEO of ImageWare AG, examines the benefits and risks of low-code platforms and his criteria for selecting a platform vendor. Ultimus introduces Composed Process Solutions, a new “industrial approach” to low-code development, and describes how automated manufacturing – generating software from business requirements - produces unmatched improvements in software delivery time, quality, manageability, cost - and business value. New to BPM? Watch this introductory video to better understand business process management and what the Ultimus BPM Suite can do for your business. Learn about the different components of the BPM Suite and how they can address your needs and solve your business challenges. BPM vs. Workflow: What is the difference between BPM and Workflow? Business Process Management and Workflow Automation Software are two of the most popular technologies on the market today but are often misunderstood. While frequently mistaken to be the same, they are in fact separate and distinct applications. Ultimus and Compliancy Software have teamed up once again to give you a look into compliance automation for your business. By working with our customers and partners, Ultimus has put together a strategic approach to help evolve your currently implemented process solutions. Using Ultimus’ latest web technologies and our Professional Services methodologies, your existing process solutions can be available for your mobile workforce. Evolving your manual business processes into live automated process solutions requires a good plan and a quality BPM technology. In this Ultimus webinar, we will show you how a manual process workflow can be transformed into an automated and fully optimized, running business process in just 45 minutes. By using the Ultimus Adaptive BPM Suite, paired with process automation best practices, a successful solution can be implemented in a very short amount of time. Companies are continuously facing new challenges in meeting customer demands. Watch this webinar and benefit from the wealth of knowledge and experience aggregated over many years of successful BPM implementations. In this webinar, you will learn about the success you could see in automating HR processes, such as employee onboarding, time off requests and employee performance reviews. You’ll also hear about customer success stories and additional resources that may help you in better understanding HR process automation. Chris Adams, an Ultimus BPM Expert, discusses the benefits of transforming workflow into business process management. Any company who currently has a workflow solution in place today should watch this presentation.